The start of a new year reminds me a bit of freshly fallen snow covering the old debris and offering a new blank canvas to write the future. The start of a #newyear offers a blank canvas to #write the #future. But with the onset of every new year, I find myself first reflecting on the year past: the pitfalls, the mistakes, the trials, the joys, and the blessings. As I reflect back on this past year, I am so grateful for where I’ve been, and what I’ve had the opportunity to see and do. The birth of my first solo book, “Hope Prevails: Insights From a Doctor’s Personal Journey Through Depression” was the culmination of a dream come true: to offer a resource beyond the four walls of my private practice, for those walking in the valley of depression to find His help, His hope, and His healing. #2016 #Grateful for birth of #book #HopePrevails. A #dream come true. 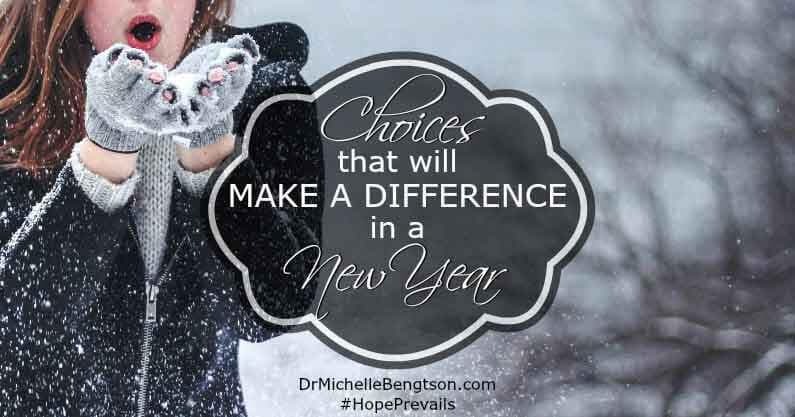 While the publication of “Hope Prevails” was a highlight in our year, our family also experienced several lows: being an expert witness in a court case that clearly was not interested in truth and justice, a 12-week bout with pneumonia, recovery from an accident, and most recently, my husband’s diagnosis and treatment for cancer. Birthing a book and having my husband diagnosed with cancer on the same day was profoundly sobering. All the excitement of one was dampened by the life and death concern from the other. It re-emphasized to me the importance of not taking time or relationships for granted, for we never know when one will be gone without advance notice. It also underscored for me the importance of being intentional in our day to day lives. There is so much that happens in life that is beyond our control. Yet at the same time, we get to choose how we participate in life and the attitude we will adopt in response to the circumstances we find ourselves in. #Choices that matter. How we participate in #life & response to circumstances. 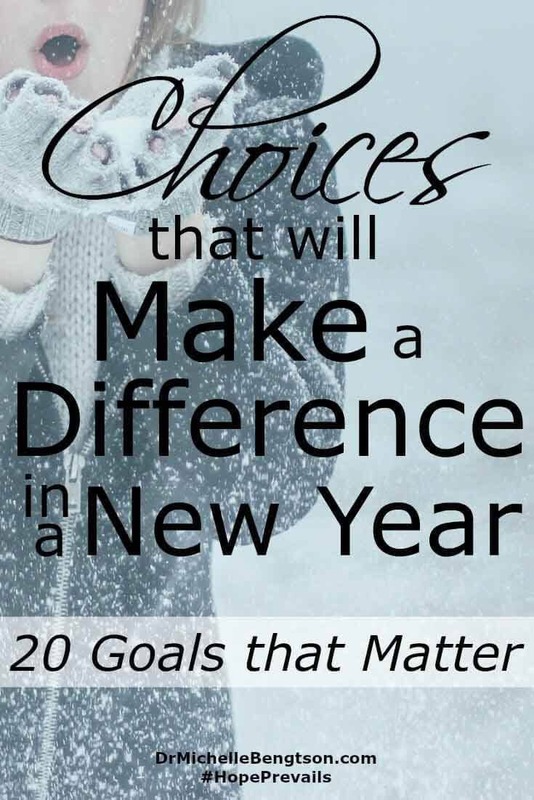 20 #Goals that Matter for #newyear #2017. God created us for relationship with Him and with each other. I’m going to be more intentional in my time investment in both. Be intentional in #relationships with #God and each other. I’m going to worry less about pleasing others, and focus on what I know pleases God. Focus on pleasing #God. #Worry less about pleasing others. I’m going to worry less about what hasn’t happened yet and focus on what is certain today. #Focus on what is certain #today. #Worry less about what hasn’t happened. 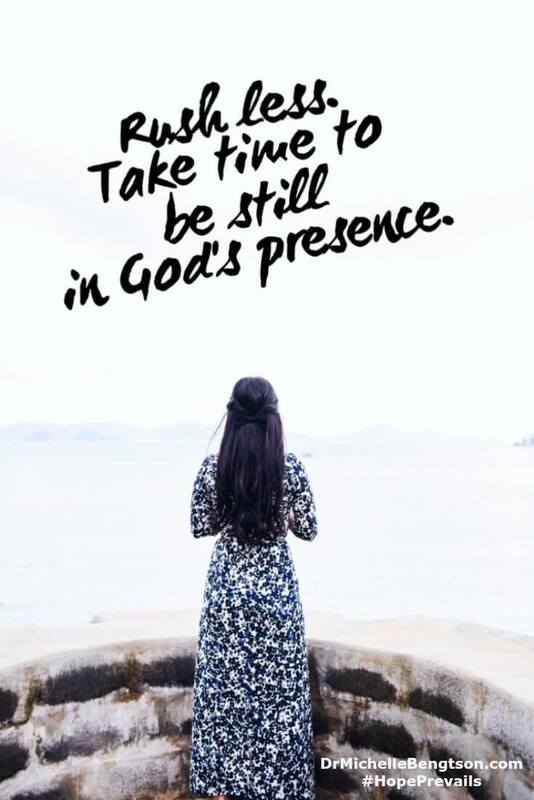 I’m going to rush less and take more time to be still in God’s presence. I’m going to be less tied to my “to-do” list and keep my peace by focusing on what God’s priority is for my day. I’m going to grumble less, and be more grateful for God’s positive goodness in my life each day. Be #grateful for God’s positive goodness in #life each day. #Grumble less. I’m going to focus less on building my career and instead pursue the calling God has given me. Pursue calling #God has given. Focus less on building #career. I’m giving up competition with others, and remembering that God has equipped each of us with our own gifts, talents, and unique purpose in the kingdom. Giving up #competition. #God equipped each of us #gifts, #talents, unique #purpose. I’m going to worry less about others’ acceptance, and remember that I am already perfectly accepted by my Heavenly Father. I’m perfectly accepted by #God. #Worry less about others acceptance. I’m going to give more weight to the plans that God has for my future which He calls good, and less importance to the things in my past that have held me back. Instead of worrying about difficulties as they arise, I’m going to view them as exciting opportunities for God to prove Himself faithful. View #challenges as exciting opportunities for #God to prove He is #faithful. I’m going to say no to comparison and gossip, and yes to encouraging, inspiring, and uplifting others to be all they can be. Say yes: #encourage, #inspire & #uplift others. Say no: #comparison, #gossip. I’m going to remember that the tongue has the power of life and death, and I’m going to choose to speak life over myself, my family and friends, and those He brings across my path. #Speaklife over myself, family, friends & those in my path. Tongue has power. I’m going to stop listening to the old tapes and lies that have held me back and repeatedly remind myself of God’s truth and who He says I am. Remind myself of God’s #truth & who He says I am. Stop listening to #lies. I’m going to let go of bitterness, resentment, and unforgiveness, and instead choose to extend the same mercy and grace that the cross has given me. Extend #mercy & #grace. Let go of #bitterness, #resentment & #unforgiveness. Instead of living in fear and insecurity, I’m going to be boldly courageous, take risks, and try new things. Be boldly #courageous. Take risks. Try new things. Say no to #fear & insecurity. Instead of being frustrated by my perceived lack of progress, I’m going to enjoy the journey and let God set the course and the pace. Enjoy the #journey. Let #God set the course & pace. Bye bye frustrations. Rather than share my concerns with others, I’m going to spend more time taking them to God. Instead of telling God how big my problems are, I’m going to tell my problems how big my God is. Tell my problems how big my #God is instead of telling God my problems are big. Instead of complaining about the difficulties of each day, I’m going to thank God for each new day He gives me as an opportunity to grow closer to Him. Thank #God for each new day. Opporunity to grow closer to Him. Stop complaining. While much of what happens to us in our lives is beyond our control, because God gave us free will, we get to choose how we will respond. This next year, I’m getting rid of the relationships, the preconceived notions, and the attitudes that held me back, and I’m going to focus on adopting the mind of Christ, letting Him rule, reign and govern my day. #God gave us #freewill. We get to choose how we respond to #circumstances. What will you do differently on the canvas of the new year before you? I love your choices … I especially like number 19…. but they all ring out true and are so right for all of us this year ahead. Thanks Jade. We can all benefit from a right perspective starting off with how big our God is! Blessing to you in 2017! Number 19 resonated with me. I retweeted. BTW how do you embed tweets in your posts? This is quite a good list (and I hate lists!). Love this. Glad you enjoyed the list! Blessings to you this year! Amen, Michele. This is a great list with so much wisdom, sober-minded judgement, and peace tucked in. Thanks for sharing this. Dr. Michelle, we’re ‘neighbors’ at Thought Provoking Thursday today. This is a great list of hard-fought wisdom. May God bring much fruit from your words. Thank you for sharing your insightful post with us here at Tell me a Story. I love your tweets, and used several. Great list, thanks for sharing. My goal is to slow down and be more intentional about reflecting Jesus. Loved this, Michelle! Sharing it everywhere! Thanks for being a part of #MomentsofHope!